How has it taken me three celeb career inspiration blogs to get to Taylor Swift?! Here are just a few of the possibly infinite number of career lessons we can learn from Tay Tay’s phenomenal success. Remember when Taylor Swift was more than a little bit country? I do. She was doing pretty darn well, and country music is a hugely lucrative business. But she decided to follow a different creative direction, making her sound a little more pop and a lot more awesome. Choosing the right path when you graduate can be tough. Putting time into researching what’s out there, and into researching yourself, will ensure you make an informed decision. But don’t fret too much, because just like T-Swiz, many people change direction during their career, sometimes only slightly, sometimes quite drastically. The experiences you have in the world of work will reveal what you do and don’t enjoy. And the process can continue throughout your career, as both you and your jobs evolve. 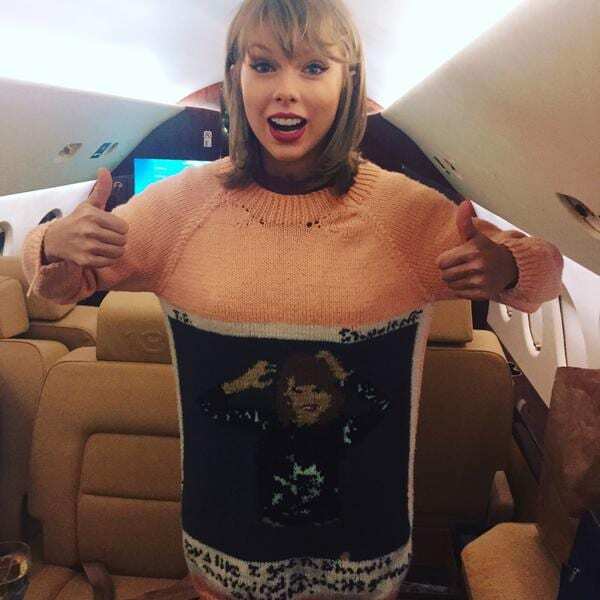 Swifty knows how to make friends, and how to make the most of them. There’s her collaboration with Kendrick Lamar, her on stage guesting with Mary J. Blige (and SOOO many others), her touring, instagraming and BFFing with Haim, and her star-studded Bad Blood video. These links broaden her already incredibly wide appeal, helping her sell more records. But networking isn’t just for the superfamous. It’s important in most careers. If you need proof, just check out the data in What London Graduates Do. 25% of graphic designers, 27% of scientific researchers, and 32% of management consultants surveyed heard about their job through personal contacts. And that’s not just friends and family (although of course you should make the most of any links you have). Personal contacts include people met at networking events and through LinkedIn or through UCL’s Alumni Community: a chance to speak to Alumni in sectors you’re interested in. So get networking! Believe it or not, even Taylz isn’t perfect. But her Twitter beef with Nicki Minaj earlier this year showed she can admit when she’s wrong and take steps to improve herself. As we saw with Nadiya from GBBO, career resilience is vital. You’re bound to get some rejections, so it’s important to stay positive. But it’s also sensible to reflect upon what (if anything) caused the knockback. As Albert Einstein famously said, “Insanity is doing the same thing over and over and expecting a different result”. And that guy was pretty smart. Employers will often provide feedback if you’ve been unsuccessful at interview, so ask for this, and use it to improve your performance next time. And you can always come and visit us at UCL Careers for guidance on improving your applications and interview technique.